Eric Cairncross is the new president of Bowls Manawatū. 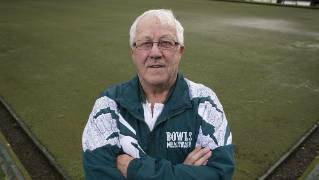 BOWLS: Eric Cairncross​ was the last one left standing at Bowls Manawatū’s annual meeting. Palmerston North’s Cairncross is the new centre president following their meeting on Sunday, but only put his hand up at the last minute because no-one else was willing to take the top job, or even join the board. There were only two board members remaining, Brian Bismark (Himatangi Beach) and Paul Goldsworthy (Woodville). The rest had either finished their term or stood down. The last president, Vern Sixtus, who was elected last year, and centre manager David Gibb stood down too, so there was hardly anyone left to run the centre. Ngaire Cowen, Greg Oldridge and vice-president Lyn Elphick stood down during the past season, while Ailsa Lindsay, Norah Bacon, Flora Hirst and John Mitchell all finished their term. Cairncross spoke to outgoing president Sixtus three weeks ago about the possibility of taking over, but said he would hold off until the 11th hour. So when there were no nominations at the meeting, Cairncross, who is also Palmerston North’s greenkeeper, volunteered himself. “No-one wants to do it. I think they’re scared,” Cairncross said. “I’ve just finished three years as president [at Palmerston North]. He said he would only do it for a year, so put the message out to the rest of the centre’s bowlers. Bowls Waikato are in a similar situation, where Bowls New Zealand were asked to start an interim committee until a special general meeting can be held, and install a new board. Cairncross believed Manawatū were heading down a similar path and didn’t want to let that happen. Colin Cherri, of Northern, has since joined the board and Cairncross is looking for two more members. He has already lined up a centre manager, but will confirm that at their first meeting. One of the decisions Cairncross will have to make is whether the Manawatū interclub competition continues, because Bowls New Zealand have got rid of the national interclub. Manawatū’s division 2 is likely to be scrapped. 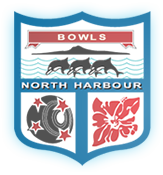 Bowls New Zealand have instead started a Bowls3Five competition – a short-format game that will be televised on Monday nights and is meant to attract interest from non-bowlers.